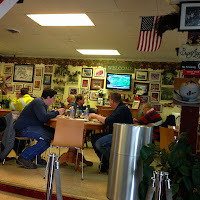 Milano's Deli. They Deliver. Since 1922. Driving down Saratoga St. in East Boston toward Suffolk Downs (RIP), you will encounter stellar sub shop after sub shop. As the neighborhood becomes more spread out, the sandwich shops remain just as condensed with fewer and fewer hispanic food choices--they're still there though. In the shadow of the Madonna Shrine, seen in its glory in the Roy's review, lies Milano's Deli, another Italian gem featuring subs alongside heaping portions of Italian specialties. On a sprawling chalkboard menu, you will find hot subs, cold subs, pasta dinners, healthy options, pizzas, calzones, and Italian specialities like stuffed peppers and marinated olives. 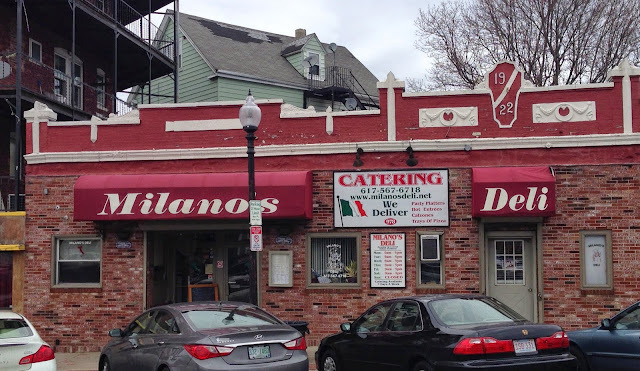 Milano's offers counter service and table seating in a dining room packed with cops, union laborers, and construction workers. 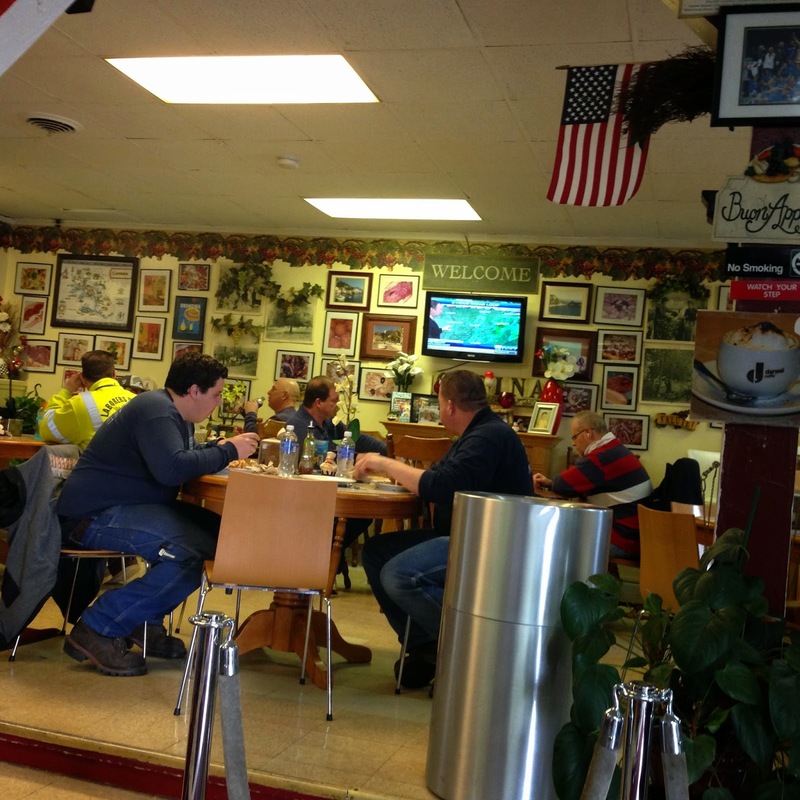 The walls are splattered like an Applebee's devoted to Italian dishes. 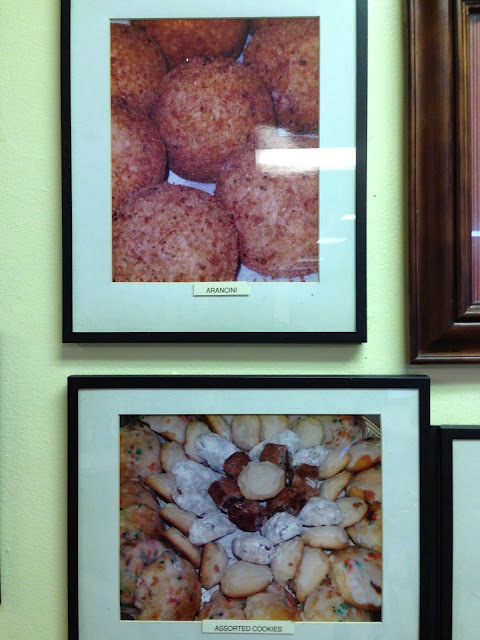 Instead of local sports heroes, there are framed pictures of arancini and assorted cookies. The pictures are labeled as well for clarity. For the kids. For the kids. Of course, the Italian was the choice here. No surprise, they have a classic Italian served with imported genoa salami, mortadella, and capicolla topped with provolone and your choice of toppings for $6.99. The service here is prompt, and the sandwich takes about 10 minutes during a very busy lunch rush. When ready, the staff calls out your order, and it pops up in the side window located between the kitchen and the dining room. I took a seat at a table and suffered the aspersion cast by a group of Boston police as I filmed myself eat my sub for a one-bite review. Check it out. As mentioned, the classic trilogy of meats carries this sub. The meats are all good quality and healthily distributed. In other words, the meat-to-bread ratio is on point here. On top of the meat and cheese, onions, tomatoes, pickles, and hots are included on a sub with everything. The toppings are all thick-cut, which took away from the sub, as some bites were dominated by massive chunks of tomatoes. The pickles were nearly identical in taste and appearance to McDowell's pickles, which just don't belong on an Italian sub. The hot relish here, however, is spicy and delicious. The bread is very soft, but fresh and tasty. While the meat, cheese, and hots are on point, the rest of the sub is basic. It has the foundation of a great Italian, but the finishing touches are just not there. 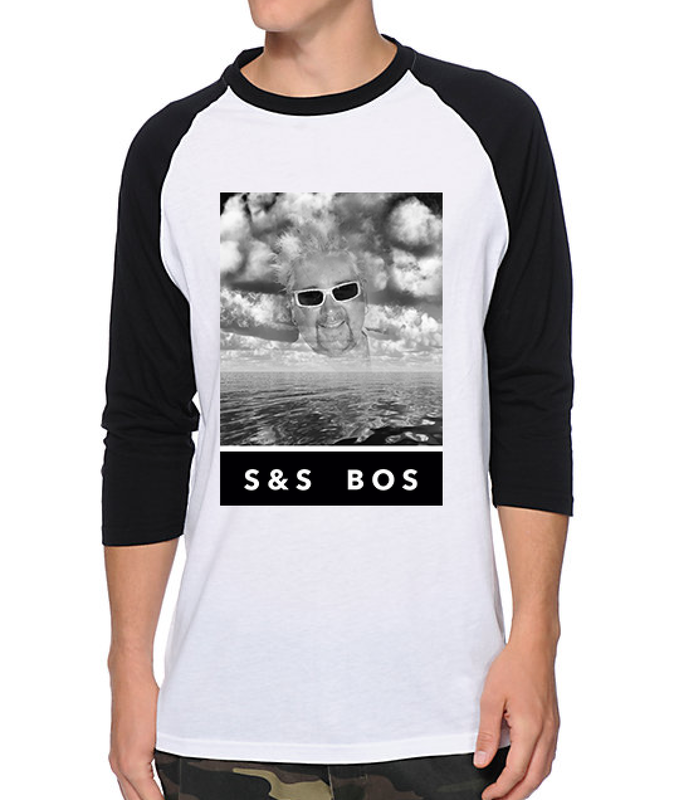 Know another great sub in Boston, send in your pictures, videos, recommendations, and one-bite reviews to the Submarine Savages at subsandstuffbos@gmail.com and add/message us on Twitter (@subsandstuffbos), Instagram (@subsandstuffboston), and Facebook.